MSG files are often generated by the PC version of Microsoft Outlook. This proprietary format is easily read on other PCs, but it is unrecognizable on Macs - even if you are using Microsoft Outlook for Mac or Apple Mail. 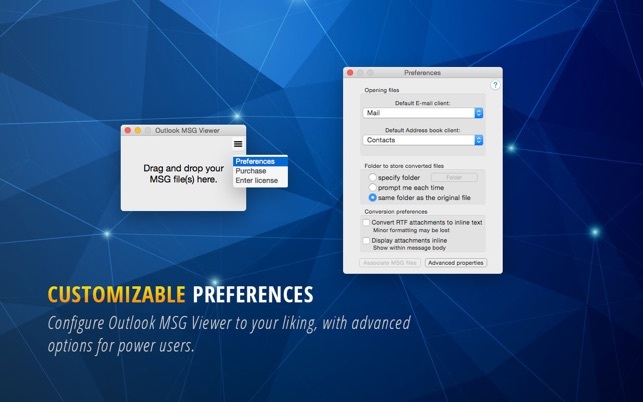 MSG Viewer for Outlook works like magic by converting the unrecognizable format into the email that your friend or coworker intended to send you - and it all happens in a split second. 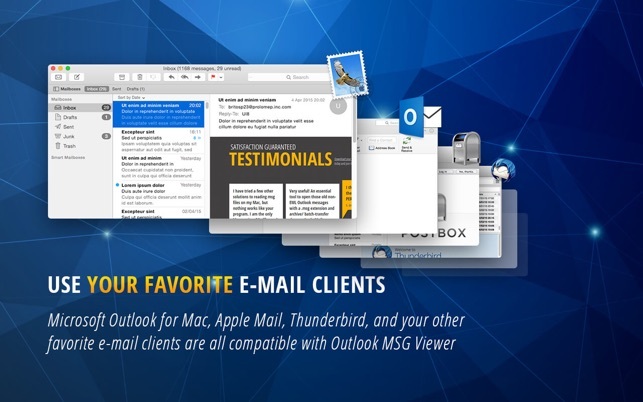 With this easy-to-use program, you'll be able to open all of those MSG files seamlessly in your favorite Mac email clients. 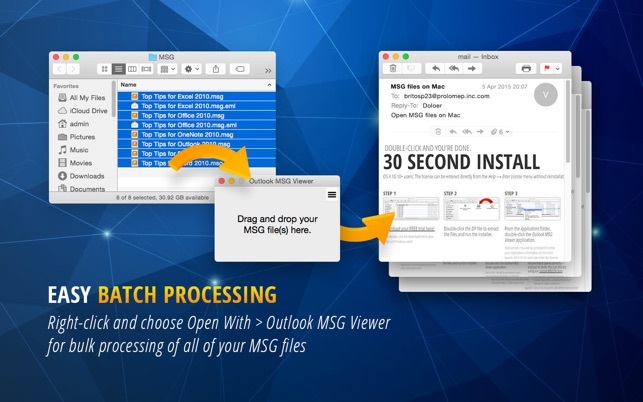 Batch processing and conversion of Outlook MSG contacts (.vcf) is also supported. 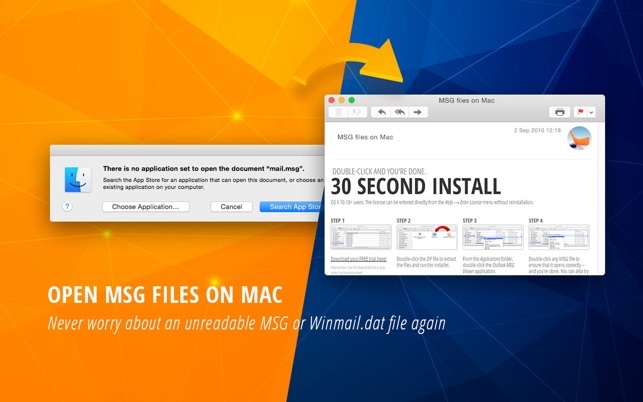 The free version only converts selected portions of the MSG file. The licensed version (available via in-app purchase) activates all features, including complete conversion of MSG files and batch processing. Some of our clients send attached .msg files instead of just, you know, sending an e-mail. This helps all of us at the office deal with antiquated file types used only by technologically-illiterate individuals. Just installed it today and tried it. Did not install the ‘preview’ component off of the web, but just dragging and dropping a .MSG file to the viewer window did work! Nice to have something handy like this. I thought this was free. Not! You wil end up getting prompted to pay a very hefty fee for a license after using it a few times. I have never had another App Store app do that. They have always been up front on whether you have to pay or not. So I did some additional web searches and there are much better options that do the same thing. Not good. Don’t buy.